62 year old actor Bill Murray covers the January issue of GQ Magazine, which also gave him the chance to talk about his career a bit. About winning every award except the Oscar for Lost in Translation, Murray said: “The one time I got a bunch of prizes, I just assumed I’d win them all. Because I’d been winning them all. I wasn’t disappointed or anything, but I was surprised. I really saw something in myself and I thought, ‘Oh, my God. I really did want that thing!’” The Moonrise Kingdom actor thinks about his future in comedy: I think there’s something that I can bring to a comedy today, but I don’t know where to bring it. I’ve actually thought about having a manager again. 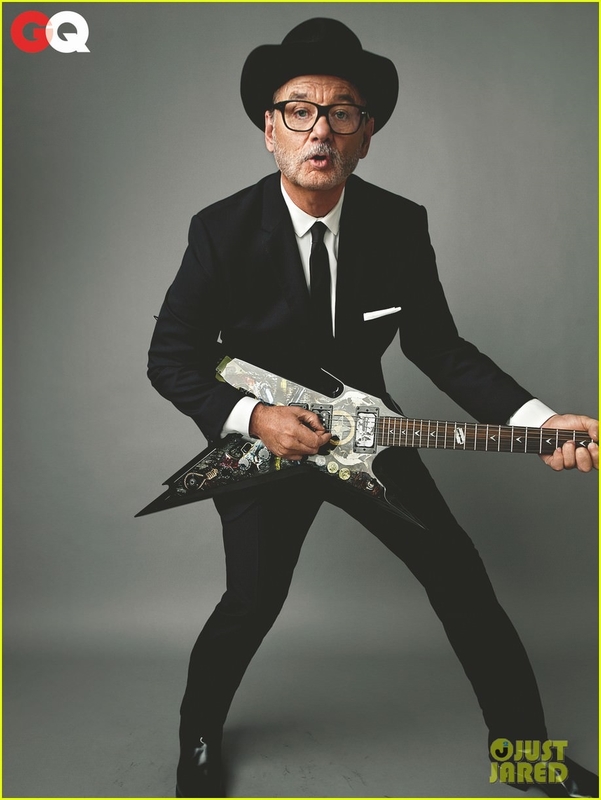 Just to clear my head and have a plan.” Pictured inside GQ Magazine, the actor is wearing a classic suit and tie with Tom Ford eyeglasses, while mock-playing a guitar. 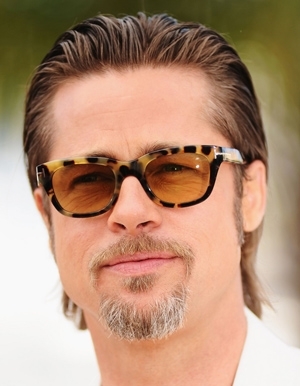 Get the look: Tom Ford FT5147 eyeglasses, $203.